Violinist and human charisma machine Lindsay Stirling. I’m not like a ride-or-die fan when it comes to violinist Lindsey Stirling. Her music is a little lighter than I usually go in for. 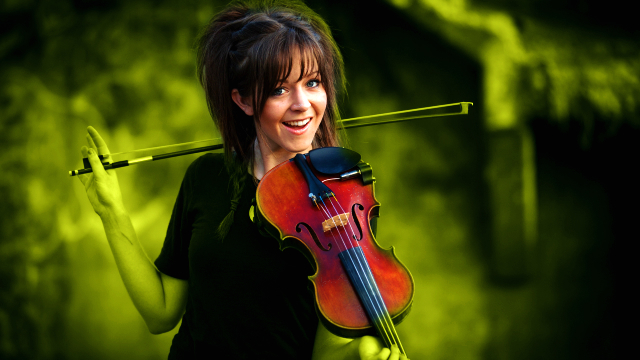 But the Lindsey Stirling phenomenon itself is irresistible. Stirling has built a following with the Justin Bieber model — recording DIY videos, grinding it out on Youtube, regularly throwing meat to fans and trolls alike. Stirling not only gets a respectable number of hits (almost 700,000 hombre) but TONS of comments. That’s because she mixes it up with fans, asks questions, responds occasionally. I will not lie to you — this is airy stuff. I don’t know if it’s Lindsey Stirling typing this, or some poor schmuck doing “social media outreach” for $11.50 an hour. Regardless, the formula is simple and brilliant: show fans you care, ask (admittedly inane) questions, show (or feign) accessibility, and watch loyalty grow. If Lindsey Stirling is not your cup of tea that’s okay. The Billboard charts speak for themselves: Lindsey Stirling is queen, and you are now watching the throne. PS: What would you choose to do if it was impossible to, like …… succeed? … … Uh……… Okay, that was my attempt at #social media ##engagement.